Sayur lodeh is a vegetables and coconut milk soup popular in Indonesia, but most often associated with Javanese cuisine. There is a Malayan version of this soup as well but it is a little bit different. 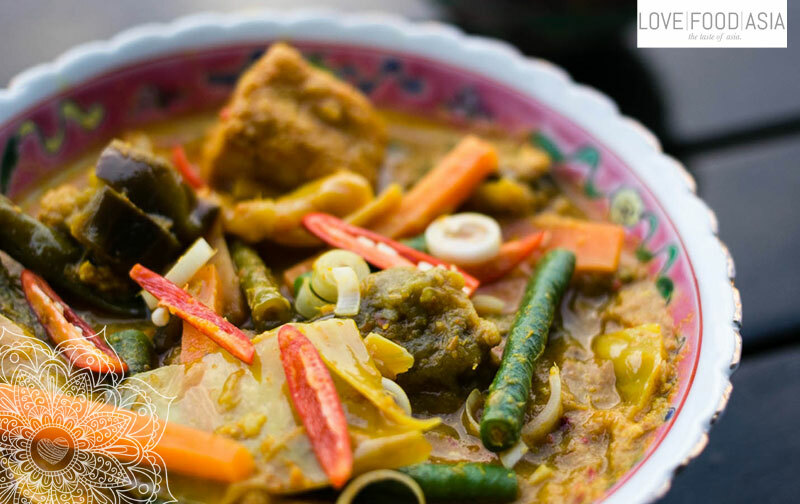 Here is our simple gluten- and lactosefree recipe for Indonesian Sayur Lodeh. In Indonesia they use fresh jackfruit for Sayur Lodeh but as it is hard to buy here we made it without jackfruit. In a mortar mix all ingredients for curry paste until you have a smooth paste. In a sauce pan heat oil and stir fry curry paste for 1 minute. Deglaze with veggie stock and add carrots, kaffir lime leaves and beans. Pour in coconut milk and simmer for 10 minutes. Add cabbage and tofu and simmer for another 3-4 minutes until cabbage is tender. Taste with salt and pepper and serve hot.